An engagement marks the beginning of the rest of your life. The obvious question that comes to the mind is: what do I wear for my engagement? As an Indian to-be-bride the options are endless. From subtly embellished silhouettes to extravagant ones, choose according to your style, personality and the simplicity or extravagance of your engagement party. 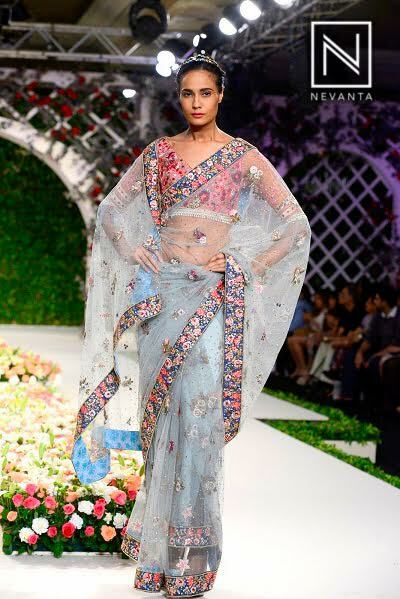 A saree definitely plays up the bridal aspect. It looks gorgeous yet classic. Drape it in different styles to sweep your man off his feet! Reds and golds are classic options, but try to keep them for the wedding and drape yourself in a nine-yard in hues of powder pinks, beige and orange. Silk is also in, so don’t be afraid to try on the traditional Kanjeevaram or Benarsi sarees. A saree gown is a winning option for a grand engagement party. 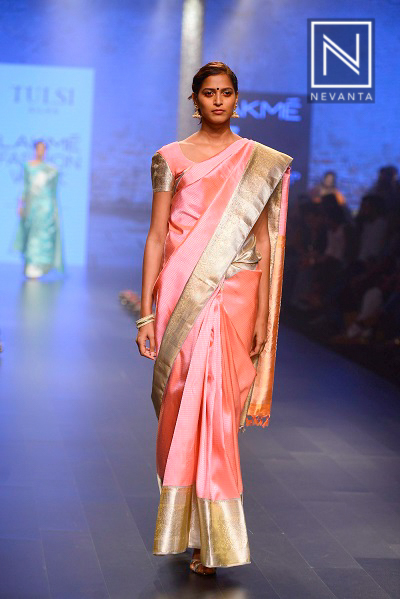 This trend has now evolved to more voluminous gowns with a delicate pallu. Deep colours like marsala and blue look great in this trend . Embellished or not, the saree style gown is ideal to celebrate the newly engaged you. 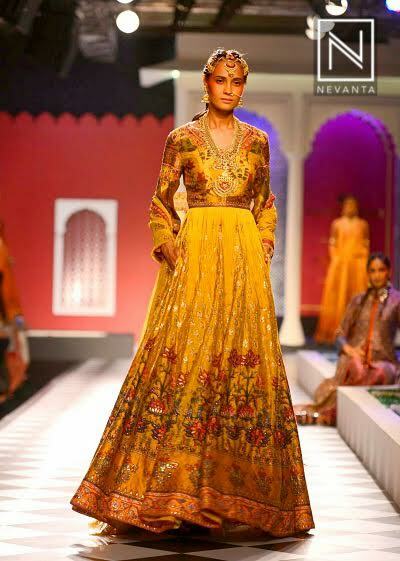 An anarkali is a staple in every one’s wardrobe. Swoon in a floor sweeping anarkali on your engagement. Add a touch of sparkle with embellishments and mirror work or metallic hues for the grandeur. Team with regal jewellery and stunning shoes. 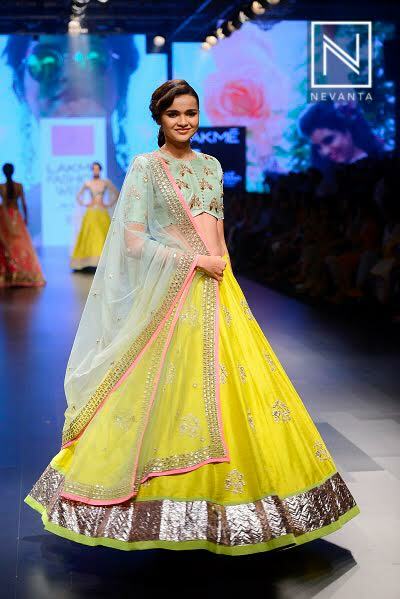 Nothing brings out bridal charm like a lehenga. But for your engagement don’t go too heavy on the embellishments and say no to reds. Bring out the romance with delicate embroideries in vibrant yet soft hues.